Dehydration occurs due to a lack of water in skin. Indications of dehydrated skin can include itching, pulling, and dull looking skin. 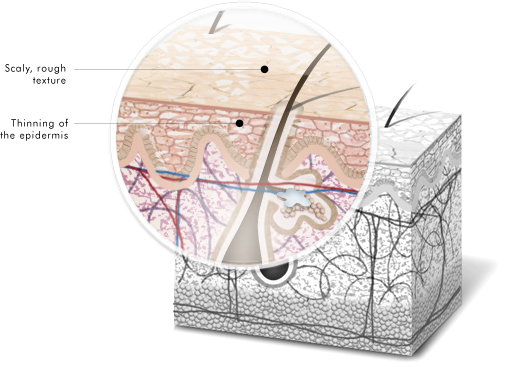 Once the skin becomes dehydrated it can no longer carry out its barrier role. SkinCeuticals offers products to help support skin’s natural barrier function.